Bands, when it comes to promotion, you’ve got a lot of ground to cover, and time is limited. You need to figure out the most efficient use of your time that yields the best results. So when you’re donehammering your social media followers, your next move is to scorch the earth with thousands of emails to people you don’t know, asking them to check out your music. Just remember to ask them nicely. This always works. Don’t forget to add “Hot New Release” in your emails. DJ and bloggers always react to this and open your email. They don’t receive enough of these emails. Or better yet. Sign up for one of those email blasts that claims to get your music to 2million djs, record pools, and music journalists. Cost you only 5 bucks. Heck, spend 15 bucks and get your music to 6 million people - that’s every man, woman and child in the state of Indiana. The problem with these services is no one is listening, and you don’t get any results. The promotional emails you’re promised, if they get sent at all, wind up in spam and junk folders, or they’re simply ignored. Worse, those that do respond typically want to sell you more promo services on top of the one you just purchased. You’re left asking yourself, where does it end? It’s like throwing money out the window. Just like the strategy of buying social media followers, purchasing email blasts does more harm than good for your music career. There are better ways to promote yourself that won’t waste your time, and it won’t piss off a ton of people. Artists, the same concept that applies to your personal music collection applies to your music promotion - it’s quality, not quantity. You don’t need to cover millions or even thousands of outlets when promoting your music. 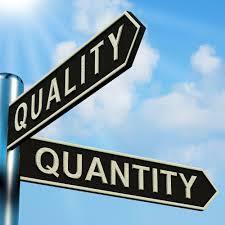 More quantity does not mean more chances to potentially get heard - it just means more waste. Use promotion services that have developed relationships with their reviewer contacts. Many of these sites will guarantee your music a “listen” from their contacts. This is really all you can ask for - your music heard and evaluated. Stay away from guaranteed airplay or reviews. If you see “guarantee” next to words such as “airplay”, “reviews”, “likes’, “followers”, and “pageviews”, it’s a red flag. The legitimate music promotion companies typically provide login accounts for their contacts. The reviewers and djs, bloggers can manage their band submissions with features that usually include genre selection, correspondence tools, download abilities and embeddable music players. A login account also allows reviewers to set aside time to listen to music. Radio station djs and music bloggers are busy people, and they won’t just listen to a song the second an email pops into their inbox. Reviewers typically will screen new artists when time allows. Then, when a solid act is discovered, the Reviewer can act on it and contact the artist. And you as the artist/client should receive some kind of transparent reporting that includes a list of your submissions, approval numbers, and download reports. Try services like Fluence, Music Xray, RevebNation, SonicBids, MusicWeMake, and MusicSUBMIT. Promotion services from these companies won’t break your budget and you’ll get legitimate results.